Going into 2018 the only knowns are that the chicks I bought in August should start laying in February or March. The possibilities are that if the does I exposed to bucks were indeed bred, I can expect kidding season to begin in February; if the ewes were indeed bred in November, I can expect lambing season to begin in April; and if the preservation center I pre-ordered from does not suffer any poultry losses this winter, I can expect 25 Icelandic chicks to be delivered the end of May. In a nutshell, my plans for 2018 are to not have any concrete plans and to see what the year brings. It was just as well that I had no concrete plans for the year. The chicks did indeed start laying. The does did not kid as planned and I was not able to start a milk test as hoped for in 2018. The ewes did lamb but I was unsuccessful in selling lambs (all were sent to the butcher in February) and I did not get the expected Icelandic chicks (current plans are for delivery the end of April). I lost my working dog and best dog ever (Tuck) in June last year and with him, lost my enthusiasm for the farm. Going into 2019 I wasn’t – and am still not – sure exactly what my plans are for the farm. My Morgan mare foundered between snow storms in January and I had her euthanized four months short of her 32nd birthday. While I did not intentionally breed my remaining ewes last fall (long story about how they got bred) – and all five ewes have lambed. The first lambed with twins without trouble. The second had twins but lost both within a week. The third had a single and the same morning the fourth had twins – both struggling but still alive. The fifth also had twins so I have seven live lambs on the ground. I couldn’t figure out why I wasn’t able to get does bred last year and rebred in August for January kids, hoping I’d be able to put the does on milk test this year. The first goat kidded in January with triplets. I wasn’t home and when I got home after dark only two kids were alive – both male. I moved that doe and her surviving kids to the lambing jugs and also moved another doe which appeared to be close to kidding. Nutmeg did indeed kid either late that night or early the next morning – and lost all three triplets. In asking others for possible causes, I was told that it was possibly a selenium deficiency. Selenium has a narrow therapeutic window and I have never supplemented with it before, though I did have a syringe of a selenium/vitamin E gel in my goat supplies. I kept a close eye on Spice but it appeared that although she looked bred, she hadn’t been as the window for kidding based on the dates of exposure to the buck had passed. 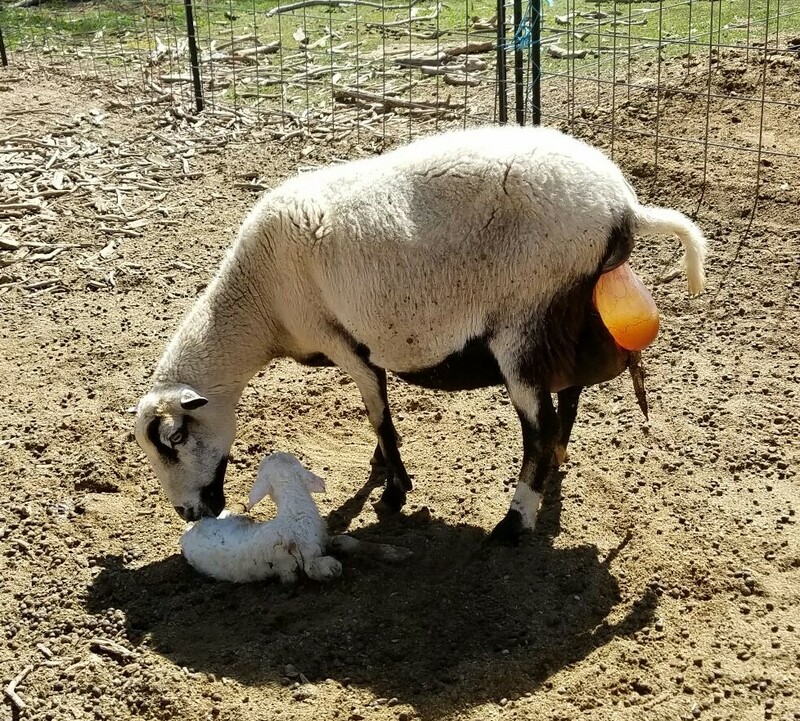 About three weeks later, when I was doing the evening chores it appeared Spice was in labor so I moved her to the lambing jugs. I checked on her frequently and sure enough about 9:20 pm she started to deliver a kid. It appeared she was in trouble so I went back in to get the necessary equipment and came out in time to help reposition a kid. A second kid followed shortly thereafter and since the other two had triplets, I hung around waiting to see if she was going to have a third. The temperatures this winter have fluctuated wildly and of course she picked the coldest night in several days to kid. By the time I finally got back into the house after midnight the temperatures had dropped into the mid-teens. Spice did indeed have triplets, all of which were very slow to get up. I didn’t expect any to survive but I did dose all three with the selenium/vitamin E gel (and also dosed the lambs that were born about the same time.) I was very happy to see that all three were still alive in the morning, though I did lose the third born a couple of hours later. The two surviving kids are both female and doing very well, except for the fact that the tips of their ears were frostbitten. Since Spice kidded later than expected, I will have to DNA test both bucks, Spice and both doelings to establish parentage before I can register the doelings. Cha-ching. A selenium deficiency also explains the difficulty in getting the does bred so all the goats are now on a monthly supplement. I was able to put the does on milk test starting in February. The results are acceptable, but not as good as I had hoped. My hay supply dwindled faster than expected, likely due to me feeding more during the really cold weather, and the quality of hay I was able to get to tide me over has been inconsistent. The first 20 bales were horrible and I ended up discarding quite a bit. A friend then bailed me out and sold me some better quality hay which I have been supplementing with pelleted feeds. I suspect the feeding regimen is largely responsible for the milk test results so far. Unfortunately, my hay supplier can’t provide hay until late May so the milk test results may not be what I expected and hoped for. Then just because it has been a difficult year so far, in late January my furnace went out. Since according to the model number it was 26 years old I opted to replace it rather than try to repair it. After five days with no heat, I finally was able to get a new furnace installed. Not wanting to be parted from an old friend, I guess, the washer (left behind by the previous owners and also 26 years old according to the model number) quit working in February. It took ten days to get a new washer installed. I went ahead and had them haul off the dryer as I figured it wasn’t going to last much longer either and it saves me from having to deal with the removal as I wasn’t planning on replacing it. Of course the March winds started up a couple of days later so my plans to put up a clothesline have been put on hold and I’ve been using a drying rack inside. Cha-ching, cha-ching. Hopefully the rest of 2019 will be less eventful and less costly. What is Easter without Lambs . . . 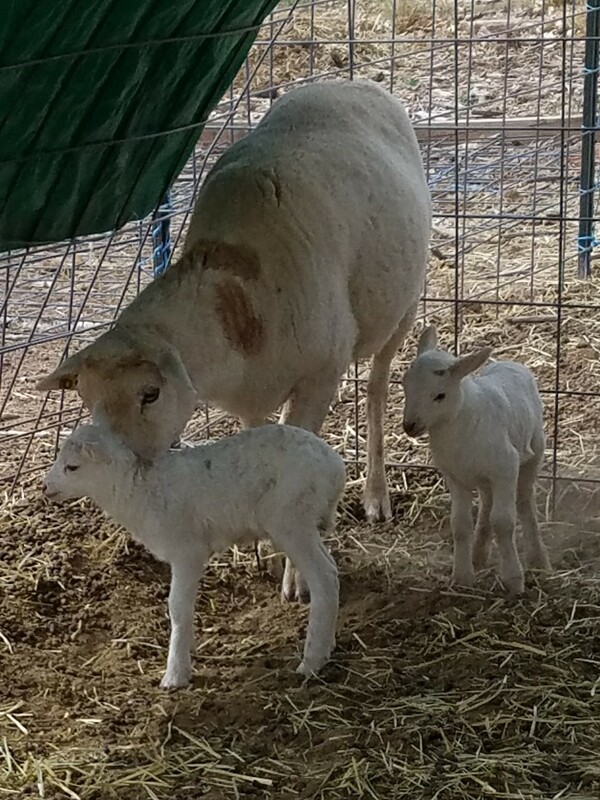 I wasn’t expecting lambs until Tuesday at the earliest, but . . .
One male (just under 8.5 lbs) and one female (7.5 lbs). Respectable weights and both are in good shape. Several friends of mine took care of the farm for two weeks recently so I could travel out-of-state to pick up my next farm dog. I spent those two weeks back east – a week in Vermont and a second week in Pennsylvania. The shades of green in both places were truly beautiful and very different from home. However, things (mostly weeds of course) greened up here while I was gone and while the green may not be as vibrant it is nonetheless a very welcome change from the winter browns. Before I left I had given considerable thought to where I wanted – and needed – to be with the farm to achieve my original goal of the farm being self-supporting. While I was willing to pay for fencing, maintenance, etc. I wanted the livestock to be profitable enough that expenses for hay and other items directly related to maintaining the livestock were not coming out of my pocket. 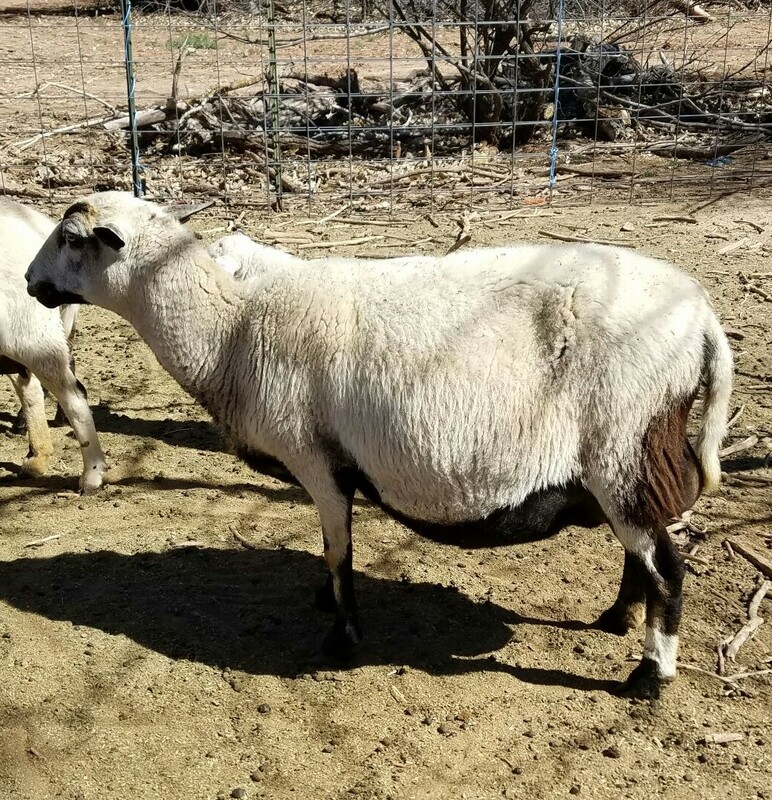 After several years raising lambs, I finally acknowledged that the lambs were simply not paying for themselves and that my pocketbook was being steadily drained; hence the decision to sell off the sheep. At the current time, it hasn’t been determined whether or not the hogs will pay for themselves once I start selling hogs, although I suspect that the hogs, too, will be a money drain. The chickens are seasonal producers but because I really like fresh eggs, I’ll maintain a small flock of chickens. In recent years, the only livestock pulling their weight have been the Nigerian Dwarfs. I am also addicted to their milk, another reason to keep goats. As I had started drying off my does prior to leaving on vacation, and expected my does to be dry when I returned, I made arrangements to buy a doe in milk on my return. The difficulties in finding a buck with an excellent milk pedigree whose owner was willing to let me health test and lease him resulted in me deciding to purchase a buckling. After considering the matter I decided to buy two bucklings, from different breeders and with different pedigrees but both out of excellent milking lines. 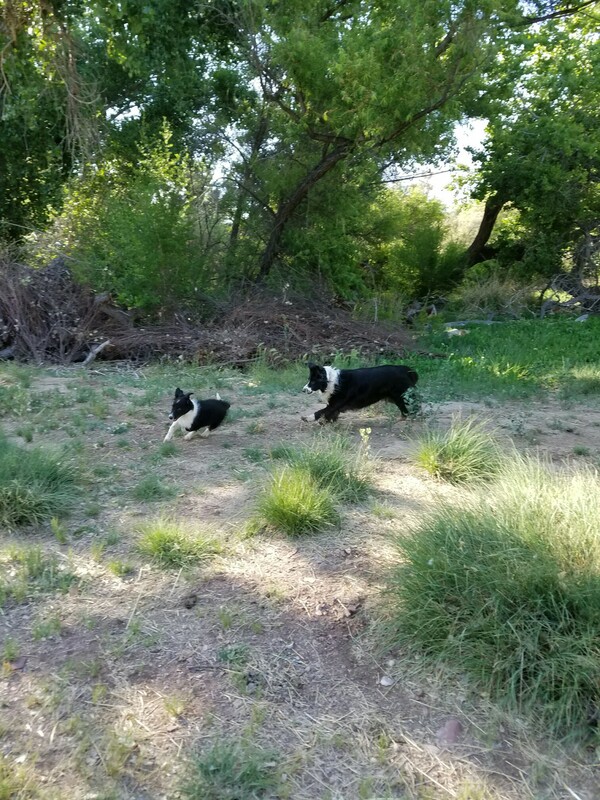 A well-known Nigerian Breeder was retiring and selling all of her breeding stock so, in addition to the doe in milk, when the puppy and I traveled to Tulerosa to pick up the doe in milk, I ended up buying the last two available does . Both does have been exposed to bucks for fall kiddings. At the present time the three new does are housed in quarantine, and the two bucklings are also in separate quarters, all awaiting health test results. More information and photographs of the new additions will be forthcoming. I am currently contemplating different arrangements for new pens which will give me more flexibility in separating dry does from those in milk, weaned kids and so on. The new puppy has been home for just over a week now and has settled in very nicely. He is accompanying me on chores twice a day and learning the routine. 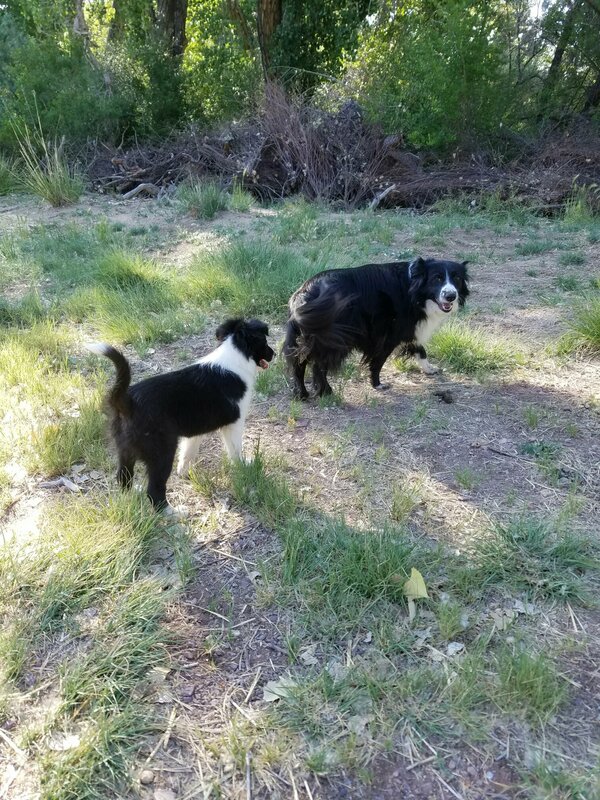 He has also finally managed to get one of the older dogs to play with him a little. If I just keep bugging her, maybe she’ll play . ..
After serious consideration of several factors, I made the decision this winter to downsize and have sold most of the breeding ewes along with the lambs. The remaining ewes will either be sold or eventually find their way into the freezer. I had already downsized the goats, putting the wethers in the freezer earlier this year, selling Nutmeg’s three doelings and most recently selling a doe in milk (Nougat) along with a dry goat (Thyme). Currently I only have three Nigerian Dwarf does. Although I had no plans to downsize my flock of chickens, the Mexican Grey Wolf which passed through the area took care of that for me. I went out this morning to find one of the two remaining bred ewes had delivered twins at some point late last night or early this morning. Both were clean and dry and had been up to nurse. Later this morning, the last ewe decided it was time, though she didn’t actually manage to lamb until after noon. She also gave me twins. I lost one of the first set of triplets, a ewe lamb, so have 24 lambs on the ground: 16 ram lambs and 8 ewe lambs. I’m still watching the smallest of the last set of triplets as he hasn’t reached 6 lbs yet but so far he is alive and the ewe appears to have sufficient milk for all three lambs. Addendum (03/13/2017): Not unexpectedly, I lost the smallest of the most recent set of triplets. Not finished yet . . .
After the fiasco in 2015, we made some changes to our usual breeding practices. Prior to the lambing season of 2015, my mentor would use his ram and a month later he would deliver the ram to me. This had worked well for several years but when it transpired that the ram hadn’t done his job and neither of us had many lambs the spring of 2015, he decided to go to a two ram system. He would keep one ram (Ram #1) and deliver the second (Ram #2) to me. When he picked up the Ram #2 a month later he would leave Ram #1 hoping that any ewes that hadn’t been bred by Ram #2 would be covered by Ram #1. Last year all my lambs were born in a time frame indicating that Ram #2 had bred them. This year, however, we switched the order and I started with Ram #1. The timing indicates that he didn’t breed all my ewes and that three, probably four, ewes had been bred by Ram #2. Sunday afternoon my sheep mentor came down to help me castrate and ear tag. We didn’t do the single ram lamb born Sunday morning and one ram lamb will need to be banded once his testicles drop. Before he left we discussed one ewe that was still pregnant and we both agreed it looked like she would lamb that evening. Monday morning she still hadn’t lambed. Tuesday came and went. Wednesday I wasn’t home and I was sure I’d come back to new lambs but when I got home the ewe was still as pregnant as she had been when I left that morning. Thursday I was heading out for a quick run into town and made a stop at the sheep pen before I left. The ewe was cleaning off a very, very tiny white lamb. 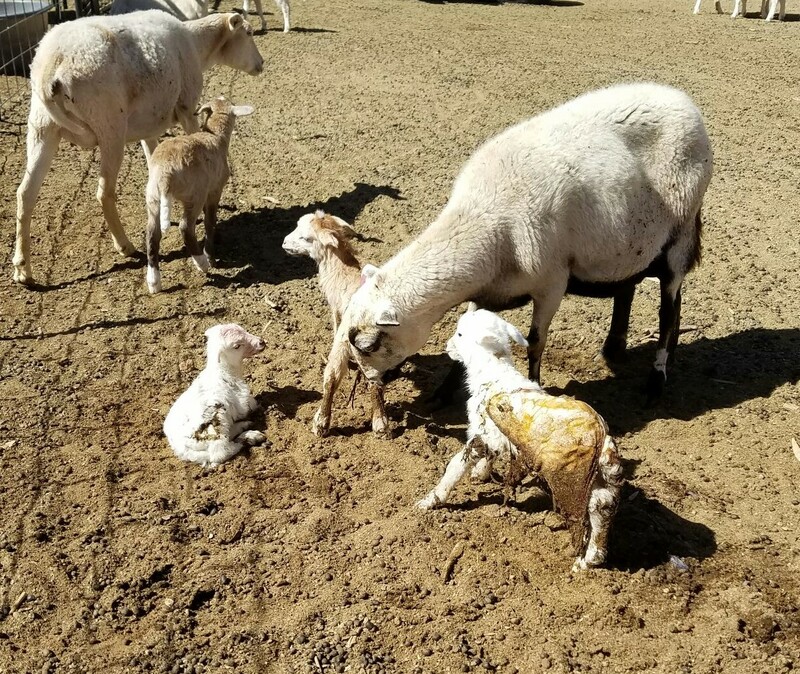 Given the size of the lamb (and the fact that another water sac was hanging out of the ewe) I was pretty sure more were coming (this ewe has typically given me twins and her mother gave me triplets this year.) Sure enough I waited around and after a bit . . .. This was a much larger lamb and while the possibility of a third existed, the ewe didn’t seem to be having issues and I needed to get back to work so I made my run into town. I got back a short time later and checked on the ewe and her lambs. Sure enough, the ewe, like her mom, gave me triplets. Interestingly, the two ewes were bred by different rams. I was a little concerned about the size of the smallest lamb as he was only 4.75 lbs and generally lambs under 6 lbs don’t fare well, but all three lambs were alive and well this morning. Lamb no. 1 was a ram lamb – 4.75 lbs; Lamb no. 2 was a brown ram lamb – 8 lbs; and Lamb no. 3 was again white and also a ram – 6.5 lbs. This year I have had three sets of triplets which is a record. I lost one lamb out of the first set but the triplets from the second set are thriving. I still have two more ewes left to lamb and both are older ewes so it will be interesting to see what those two ewes deliver. The other morning a yearling ewe (born in the spring of 2016) started to lamb. It soon became apparent that she was too small (or the lamb was too large) and that she was in trouble. However, since she was confused about the whole process, she wouldn’t allow me close enough to assist. As I was trying to move the ewe into the lambing jugs, the littlest triplet darted underneath her and started nursing – evidently aware that the ewe was other occupied and unlikely to chase her off. I moved the lamb off but she quickly returned, not so willing to give up a free meal. Luckily for me, the farrier was there and willing to lend a hand. Between the two of us, we managed to get the ewe into a lambing jug where we could close her in (and the littlest lamb out) and I ran to the house for gloves. The lamb was presenting correctly – two front hooves and a nose – but not progressing. There was so little space inside the ewe I was taking it on faith that there was only one lamb and it wasn’t tangled with a second one. 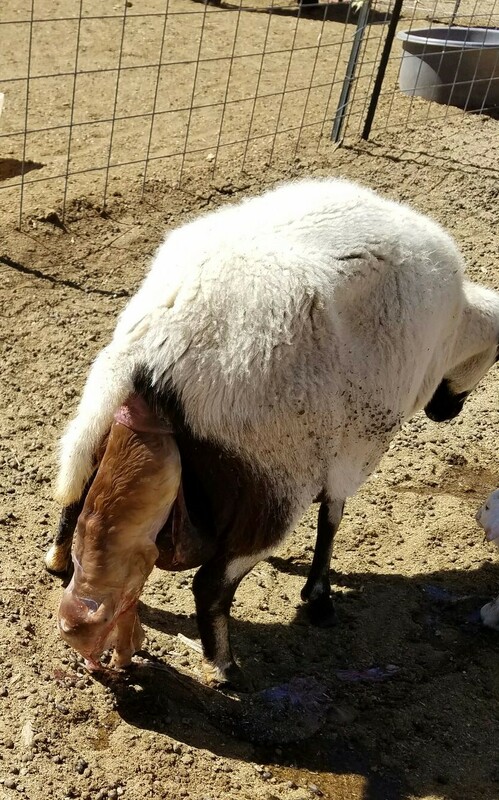 By the time I finally was able to get a front leg (the elbow had caught on the pelvic ring) straightened out, the lamb’s tongue was hanging out and turning blue. While I was convinced I was going to lose the lamb, I wanted to save the ewe if possible so I continued to work until the second leg was straightened out. Even though the head looked like it wasn’t going to fit, finally with effort on both our parts, the head finally emerged. At that point I let the ewe finish the job and the rest of the lamb came out. I was pleasantly surprised to find the lamb still alive. Once the ewe had a few minutes to rest up, she did start to clean the lamb. A couple of hours later I went out to check and the lamb was up and nursing. A ram lamb weighing 12 lbs which is large for a Katahdin and especially large for a first time ewe. So while the season had definitely gotten off to a very slow start, it was progressing well until . . . . When I went out to feed last night I found a lamb, the largest of the original set of triplets, next to the fence, dead. I couldn’t find any apparent cause of death. The ewe didn’t have enough milk for three lambs which is why I’ve been supplementing the smallest lamb, but I hadn’t seen any signs from the other two lambs that they weren’t getting enough milk. All of the lambs had been running around earlier in the day playing chase games and all, including this one, had appeared to be fine. My guess is that she ran into the fence and hit a fence post, breaking her neck. My first set of triplets was born on Sunday, February 5th. The smallest ewe lamb wasn’t getting enough milk from her dam so I have been supplementing her feeding with a bottle. She had learned she could sneak some extra food from the ewe I had put in the lambing jugs after the ewe twinned on the 12th, but then on February 14th another ewe had triplets and I turned out the two ewes and their five lambs from the lambing jugs, cleaned the jugs and moved the new mom and her three into the lambing jugs. When I went out late that night to check on the lambs and ewes, I found the one ewe with two of the triplets but not the littlest lamb. I finally found her with the other ewe and her twins. However, with the wide open spaces of the working pen, the ewe was finding it easier to get away from the lamb when she tried to nurse and with the dropping temperatures I had visions of the littlest lamb freezing over night. I had lost a triplet the previous year in such a situation when it had gotten separated from its dam and the other lambs. 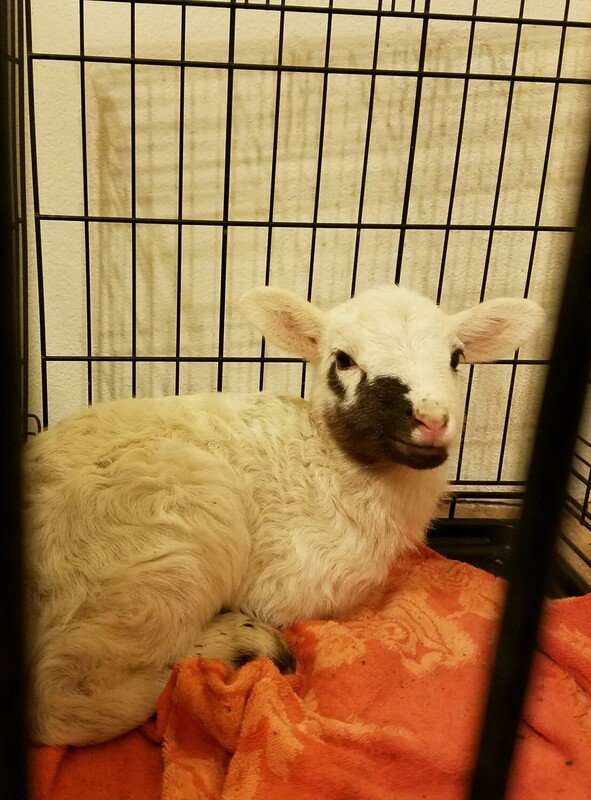 So I brought the littlest lamb in for the night and bedded her down in a dog crate in my bedroom. She turned out to be easier to both crate and house train than many puppies that I’ve raised. Every night since then she has been spending the night in a crate and then going out during the day to spend time with her mom (and any other ewe she can nurse off of) and the lambs. With one exception, she waits to pee in the morning until after I put her outside and she happily follows me back to the sheep pens. She has adapted quite well to her new life. She is growing well on the goat milk and is a similar size to the two triplets the dam is still nursing. Today was cold and bleak. The snow from last night soon melted with the rain of this morning. It rained off and on all day and the mud was deeper every time I went out. When I fed this morning the smallest triplet seemed to have a full stomach so I didn’t offer a bottle. I checked sheep throughout the day, expecting more ewes to lamb, and each time I checked on the ewes and lambs in the lambing jug. [The lambing jugs are set up so that I can create small pens to segregate new moms and their lamb(s) but since the two ewes I put in the jugs were both experienced and taking care of their lambs, I went ahead and opened up the jugs so that the entire space was available to the two ewes (and their combined five lambs)]. Each time I checked, the littlest triplet didn’t appear to be hungry. The bottle I took out a short while ago was the first bottle I gave her today. When I first went out she didn’t come running as usual and as I watched she went to the ewe that was not her dam and started nursing. She actually nursed for a short while before the ewe realized it wasn’t one of her lambs and walked away. At that point the lamb came over for her bottle. I had figured she was nursing off her dam and getting some milk at night, but I guess the little one has found a new way to supplement her own feeding without requiring a bottle. The rain is supposed to continue through tomorrow so I’m hoping the ewes who haven’t lambed will hold off until things dry out a bit and I can turn the ewes/lambs in the jugs out to make room.